Along with being engaged comes a lot of showers and really nice, sweet gifts. 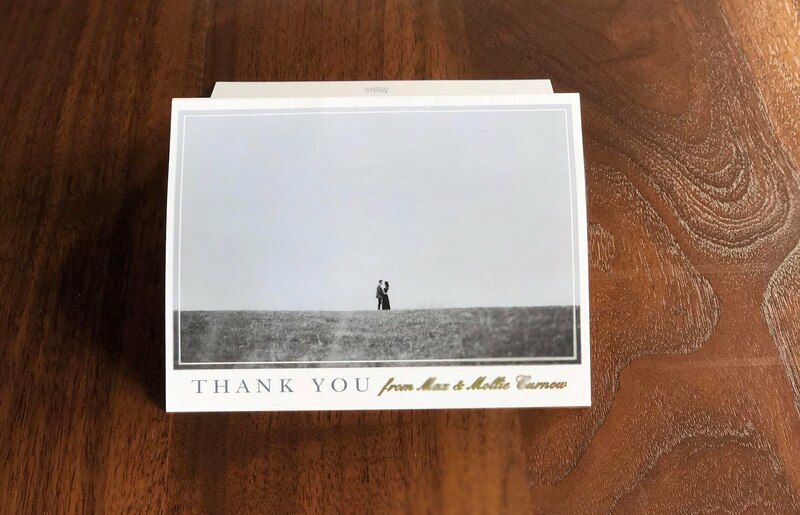 My parents were always huge on us writing Thank You Notes as kids to anyone who got us a gift and although the task can be daunting as the writer, as someone who received the note, it's always a nice gesture. 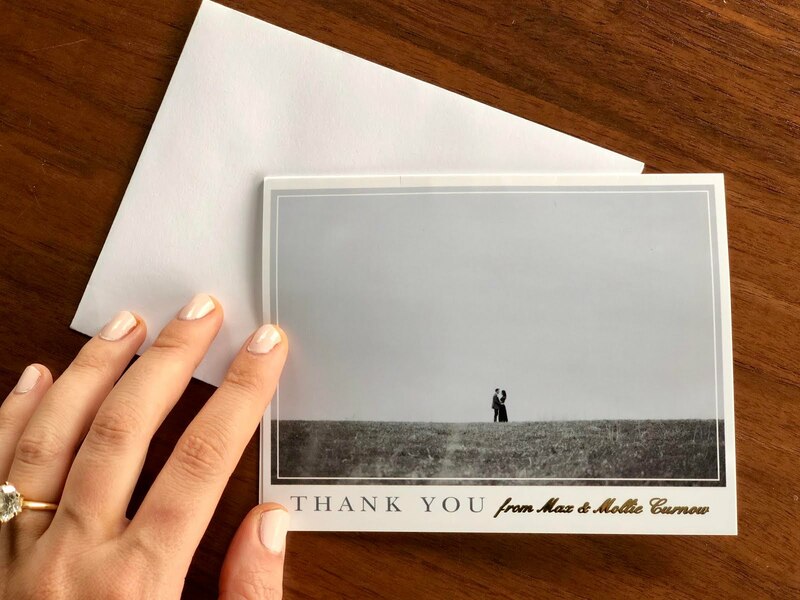 That is why I was so thrilled when Basic Invite reached out to collaborate with Max and I on some custom Thank You Cards to send gift-givers after our wedding. As I cruised their site, it was easy to see that they had so really pretty pre-made templates and they were all customizable! Being able to take a template and change it to our taste made the process so fun. They have much more than regular cards, they even have casual themed wedding invitations, which would be so cute if you wanted a chiller approach to your wedding invites. Basic invite also offers unlimited colors, custom samples, over 40 different envelope colors, over 900 wedding invite sets, free address collection service and seal and send wedding invitations! I mean, that is some time-saving realness right there, especially when it comes to planning a wedding! Basic Invite now offers an all-new wedding website service, which are just as customizable as their cards and invites. 2. Thanking them and why you appreciate the gift. 3 .How you will use the gift. 2. Thank you so much for the dish towels. They are so pretty and I know we will get so much use out of them. 3. We are planning on hosting Thanksgiving this year and are in the kitchen all of the time, so we really will appreciate having these gorgeous and useful towels on hand! 4. Thank you so much again. We really appreciate your thoughtful and generous gift. Let me know if this Thank-You-Formula was helpful, or if you use a formula yourself, I would love to hear it! Also, don't forget to check out Basic Invite on all of their social platforms below.